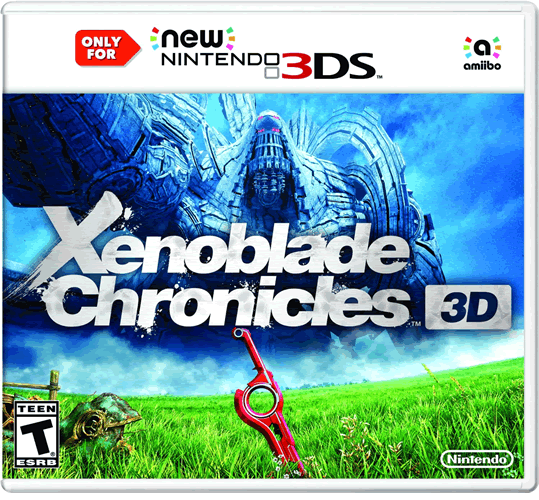 Xenoblade Chronicles 3D is a new portable version of the massive RPG adventure from Monolith Soft & Nintendo. Xenoblade Chronicles 3D is the first game that can only be played on the 'New' Nintendo 3DS - it will not work on a standard 3DS or 3DS XL. Xenoblade Chronicles 3D allows players to scan in a Shulk amiibo figure to unlock in-game tokens for music and 3D models. Check out the new trailer for the game here!